Torticollis is when a muscle of the neck, called the sternocleidomastoid, is shorter on one side of the neck than the other. The tight muscle causes the head to tilt toward the side of the neck with the shortened muscle and the head to be turned away from that side. 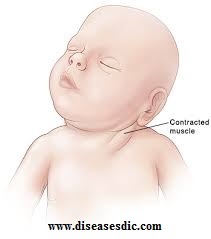 The full name for torticollis is congenital muscular torticollis. Babies can also develop the condition after birth. Then it’s called “acquired,” rather than congenital. Acquired torticollis may be linked to other, more serious medical issues. Less commonly abnormalities in the formation of the cervical vertebrae may be the cause of congenital torticollis, a condition known as “klippel-Feil syndrome.” In such a case, the neck bones may be stuck together, abnormally formed, or a combination of both. 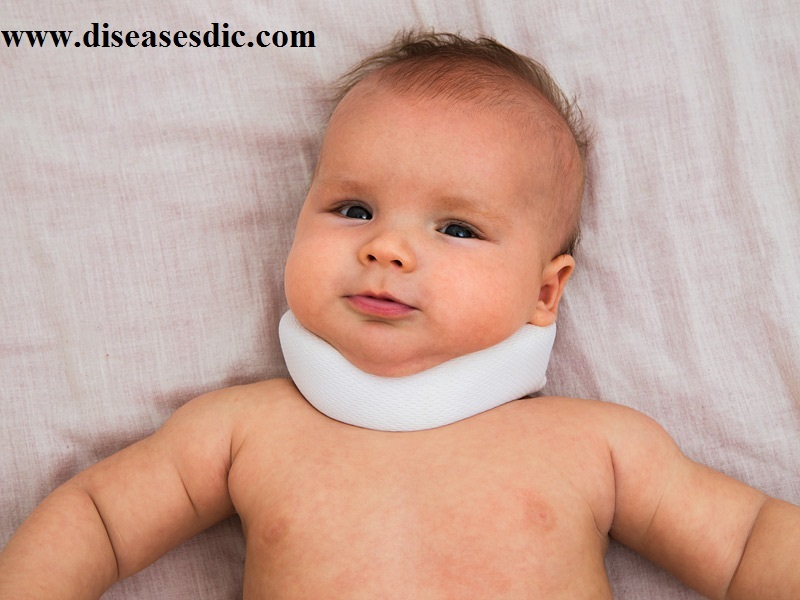 Congenital torticollis in rare cases may occur as a result of serious medical conditions that cause damages to the nervous system or muscles such as brain and spinal cord tumor. The condition is also hereditary. Tilted head – Since muscles are only contracting abnormally on one side of the neck, a tilted head position is the primary symptom of torticollis. The tense muscles will also cause pain and tenderness. Range of motion – You may lose some range of motion, especially with acute torticollis. The head tends to run away from the side where the pain is occurring. Eye symptoms – Oculogyric crisis, deviation of the eyes, may occur resulting in the patient looking upward involuntarily. Tongue symptoms – Buccolingual crisis, protrusion of the tongue, may also result, meaning that the patient will involuntarily stick his or her tongue out. Muscle spasms – This symptom is particular to spasmodic torticollis, and it refers to both jerky as well as sustained spasms in the neck muscles. Shoulder pain – The nerves and muscles of the neck and shoulder are interconnected, so shoulder pain may accompany the neck pain. Back pain – Back pain is likely to accompany neck pain if spinal issues such as an upper cervical misalignment are in play. Headaches – Headaches are another symptom of upper cervical misalignments, so it makes sense that this symptom goes along with torticollis. 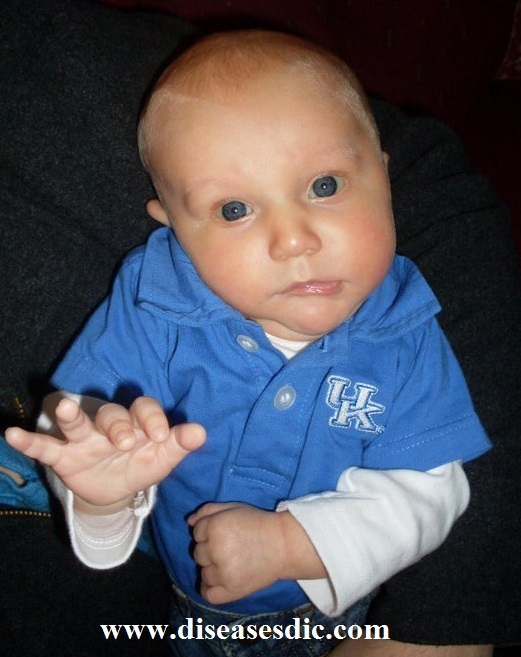 Infant symptoms – In the case of BPTI, symptoms may include irritability, vomiting, and drowsiness. In most people, torticollis resolves in several days to a few weeks. A few people will develop continuing neck problems for months to years. Persistent neck muscle spasms may require referral to a neurologist or surgeon. Surgery is reserved only for a few selective cases. In this treatment, some of the upper neck nerves and/or muscles are selectively severed to prevent muscle contraction. Surgical treatment often helps, but frequently the neck will return to its twisting position after several months. Rarely, deep brain stimulation is done by inserting a wire into the brain where movement is controlled and then sending electrical signals to disrupt brain signals causing torticollis. If you have spasmodic torticollis caused by trauma or by medications, the doctor may prescribe muscle relaxants and anti-inflammatory drugs. These usually relieve symptoms completely within a few days. Common medications to treat acute, spasmodic torticollis include benztropine (Cogentin) or diphenhydramine (Benadryl). Medical professionals usually administer these medications into the muscle or through the vein. The doctor may add muscle relaxants or benzodiazepines such as Ativan or Valium. The medications are continued in their oral form for 48-72 hours to avoid recurrent symptoms. Ice packs and massage therapy may also be used for relief. For chronic neck muscle spasms, a neurologist may give a local injection of botulinum A toxin (Botox). This toxin comes from Clostridium botulinum bacteria. It acts locally to prevent muscle contraction in the muscles where it is injected. The toxin often can stop torticollis from long-term progression and may lead to complete recovery. Although Torticollis is not always preventable, early detection significantly improves outcomes. Often it is preventable just by knowing to look out for a head turning preference before it becomes too much of a habit. Mindfully positioning your child to look in both directions during sleep and awake time will help as well. The best way of preventing head flattening is re-positioning. Never allow your children to sleep only to one side. Try not to let children nap in their car seats after you return home. Limit the amount of time your children are on their backs when awake such as in reclined swings or bouncy seats. Switching which arm you carry them in. 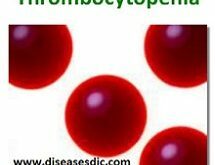 Next Diabetes Mellitus Type 2 – Description, Causes, and Prevention.